Good day gents. The great thing about retirement is that you can pick up old hobbies that you had to abandon for lack of time. After a few false starts, Modeling WWI aircraft is back on the list. Here are two pics of the inside fuselage components for a Wingnut Wings kit. My sincere thanks to Sandbagger for his wonderful build logs, advice and encouragement. Hopefully, I might be in his league one day but I doubt it. I will post progress photos as this project progresses. Last edited by MFair; 02/09/19 12:50 AM. That looks pretty Dam good MFair. Good on you, MFair! I’m still waiting for my retirement. This only makes my stash bigger and bigger. I’ll be following your progress. looks nice. 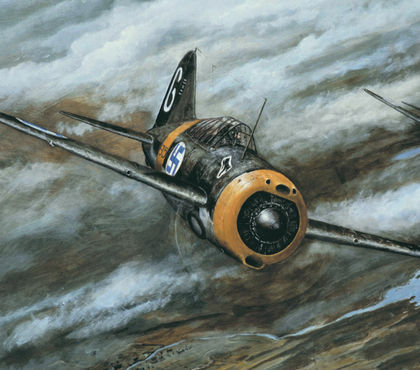 and it reminds me that this is one of those planes I would love to see added into WOFF. It seems you haven't lost any of your skills. It's looking good! 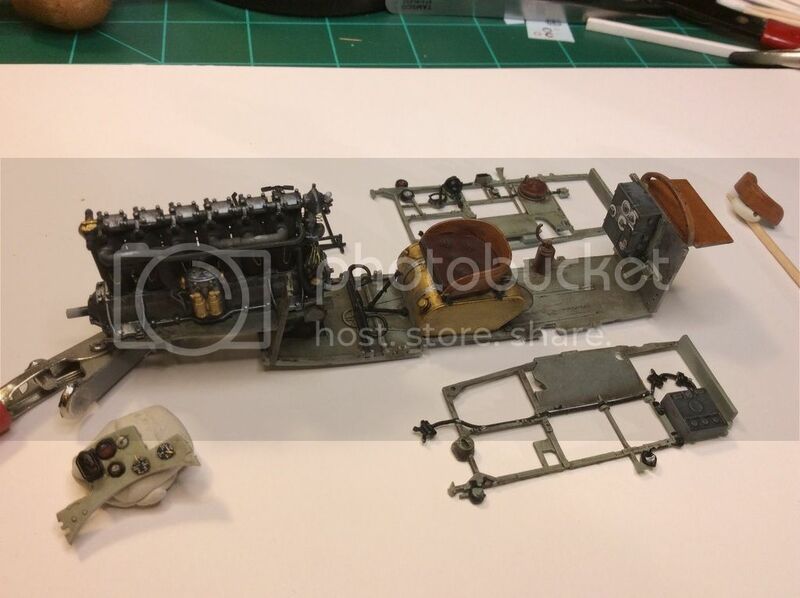 Mark's first foray into WW1 aircraft and yet compare it to one of my internals - can you see a difference? Thank you for the encouragement gents! That my friends is simply awesome. Masterful super-detailing. 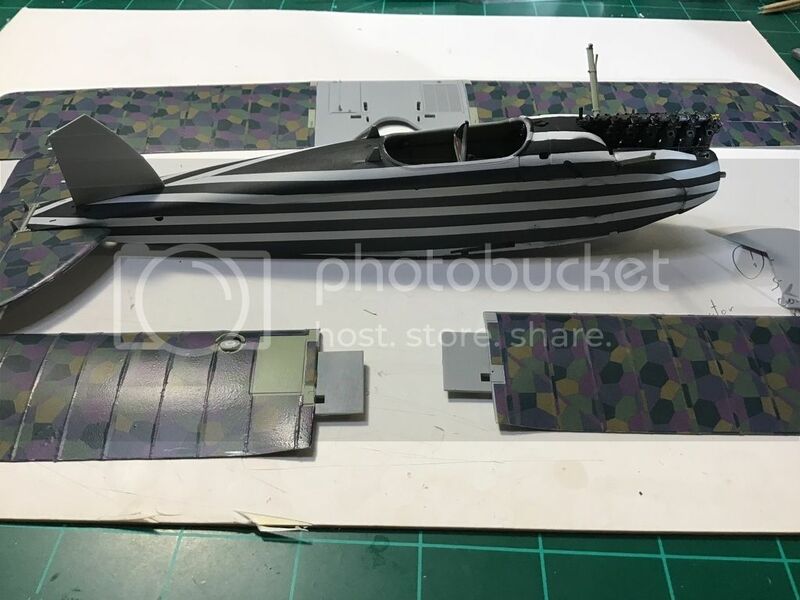 I build model aicraft but am not in your league gentlemen. Simply stunning! Keep posting thses pics. Cheers! Mark, fantastic work! You have quite the skill set my friend. I can't wait to see the completed model. Very impressive work so far. I built a few models in my youth; none of them looked that good. I definitely want to see the finished Halby! Thanks Gents! All encouragement is excepted. Hasse, none I built in my youth did either. A great kit, the right tools and a wealth of information not available back then make a big difference. Updates soon. The quality and detail that our resident modelers achieve awes me. Fantastic work! Good day Gents. Just an update on the Halberstadt. The particular machine I am modeling is CI.II 5720/17. These are her early Schlasta 21 unit markings. 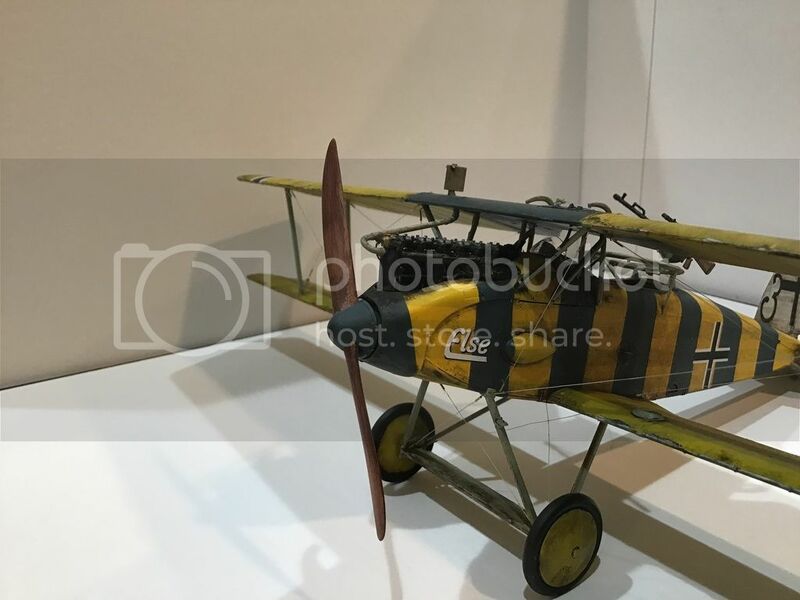 The machine I am modeling was over painted with broad pale yellow and blue vertical stripes on the fuselage and over painted yellow wings. 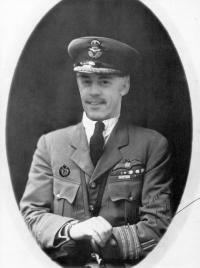 The earlier markings show through the pale yellow in historical photo's. 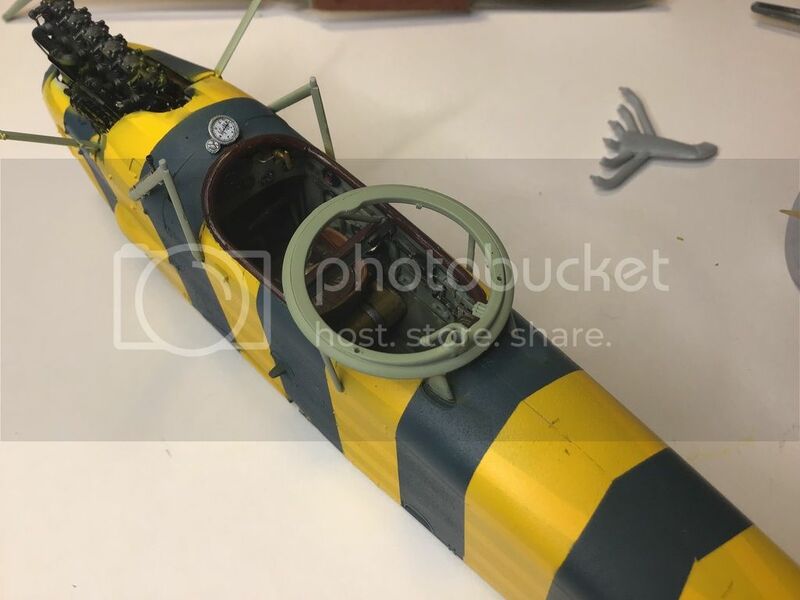 If left to my own devices I would have just painted it pale yellow and blue but according to our resident award winning master modeler, in is words, "in order to do it justice you need to........". hence the two paint jobs. Thanks for the nudge Mike! My apologies for the poor photography. I have always hated applying decals. Kudos to you, Sir for taking the plunge. Latest installment on my effort to build the Halberstadt. As per the previous post, the old Jasta black and white colors was over painted with yellow. 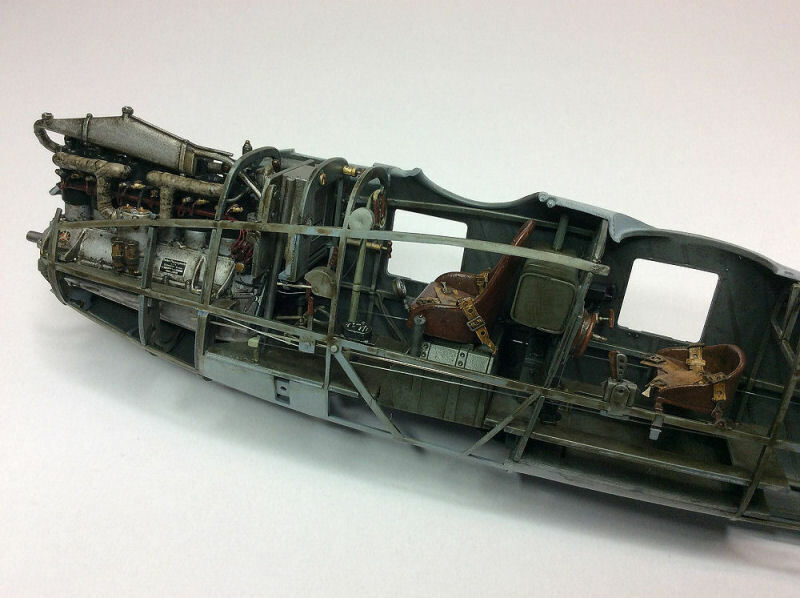 The fuselage is getting close to finish except weathering. The lozenge wing decals were a disaster! They lay well for the most part but came off in a few places after being oversprayed with yellow. Oh the joys of modeling. 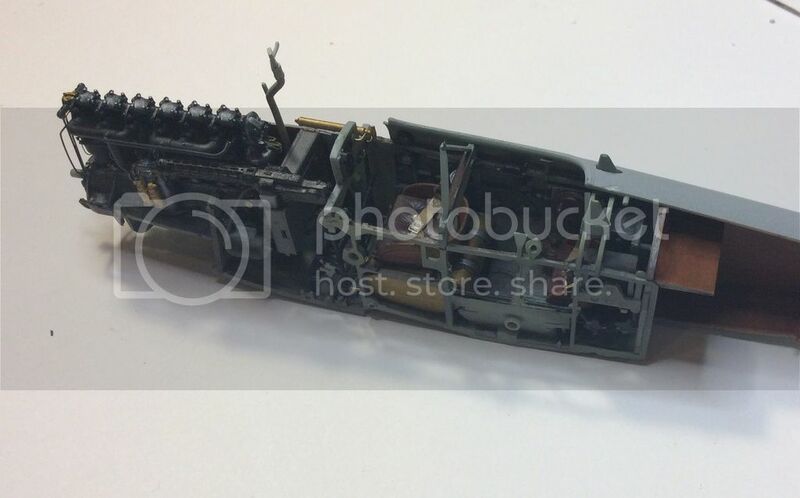 I am currently working at fixing those plus some touch up on the fuselage, such as the seam behind the gun ring. Ok Gents, here she is to date, mistakes and all. I am getting pretty close to finishing. Yes she is one dirty bird. One, I picked a most difficult paint scheme to try. Then, I had the devil with the full wing lozenge decals. For my first WWI bird in 40 something years, I'll take it. 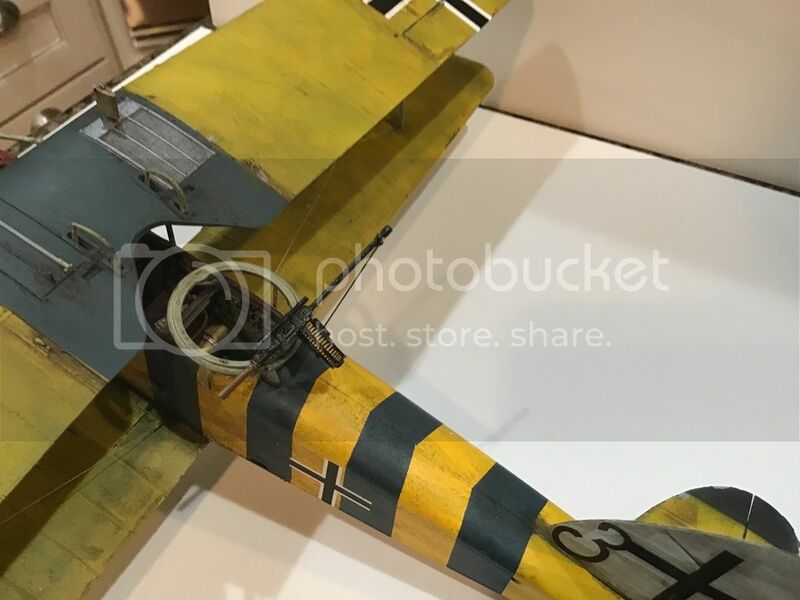 I built 2 WWII models to get back into the swing. Thanks again to Sandbagger for my unending questions. Unfortunately he could not hold my hand across the pond! The WNW Phalz DIIIa is next.